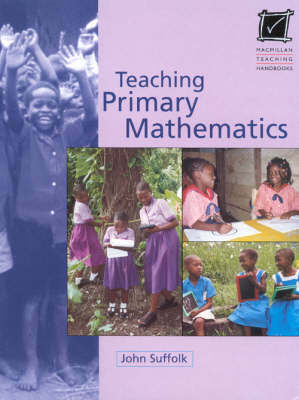 "Macmillan Teaching Handbooks" are written for student teachers and practising teachers in primary schools in Africa. The series is designed to meet the preservice needs of primary teachers in both lower and upper primary, tackling important issues in depth in an attractive, easy-to-use format. The authors make no assumptions, avoid jargon and use clear, simple language. The books provide practical suggestions for how to teach and improve teaching methods. They keep in mind the problems and challenges teachers face in the classroom. There is a general handbook for primary teachers, "Primary Teaching Methods", and books covering the main subjects: English, Science, Mathematics, and Social and Environmental Studies along with some tackling areas of special difficulty: Teaching Reading and Teaching About HIV and AIDS. "Teaching Primary Mathematics": Any teacher undertaking teaching mathematics at primary level will find this an invaluable source book. Newly-qualified and training teachers will find a logical approach to the development of the mathematics syllabus, experienced teachers will be able to find new approaches to topics with which they are familiar, and non-mathematicians will welcome the clear way topics are explained.